It‟s not only a “Pillow”, but also a “Life saving pillow” to Mr. Ho ！ Several years age, there was a car accident happened on Mr. Ho, who is the leader of the Test Rrite Group. It causes him uncomfortable with his cervical vertebra. And he felt so sad to got same answers from several doctors, who told him that he need to take an operate, but there are also some risks, which may make him hemiplegic. In that moment, a friend introduced Doctor Yang to him. And Mr. Ho made recovery from his illness by the Cranio Sacral Therapy (CST), which release people restrictions in the Cranio Sacral System by using a soft touch generally no greater than 5 grams, or about the weight of a nickel. 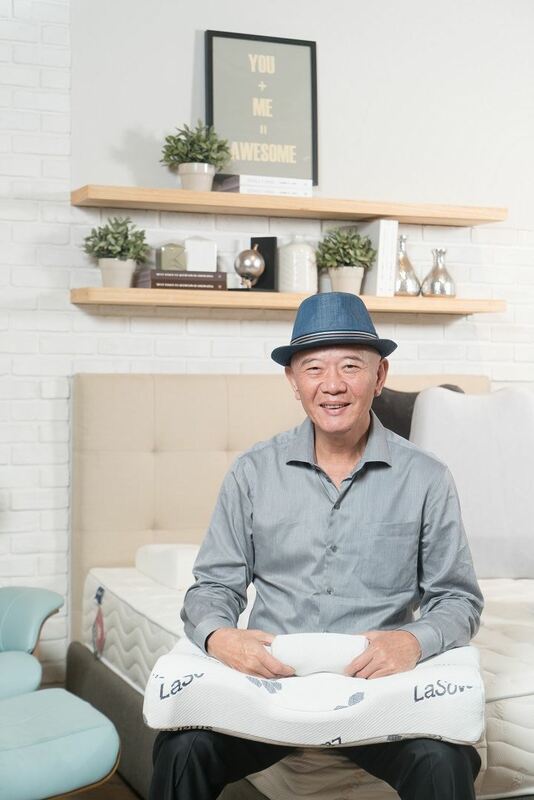 So Mr. Ho spent six years with Dr. Yang and Test Rite Group‟s bedding team to create a special [pillow], which could help people to relax when they sleep.